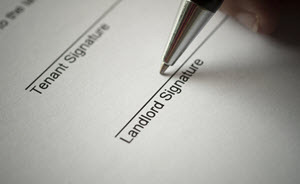 Being a landlord is meant to be a relatively easy and low-stress endeavor. Maintaining the conditions both inside and outside of your property by working with your tenants should be more of a learning experience and less of a stress-inducing nightmare. Unfortunately for most landlords though, at some point you will have to deal with a bad tenant. While no one ever wants to be put in that situation or wants to seem to be cold or uncaring to someone’s needs, it’s important that you put you and your property’s well being first. If you’re stuck dealing with a bad tenant or would like to stay prepared in the event you have a bad tenant, here are some easy tips to help make handling bad tenants as easy as possible. Remember: Tenants Have Rights– Every tenant is entitled to seemingly endless rights and when faced with eviction and not getting their deposit back, there’s a possibility they take that frustration out on the property itself. When dealing with a trouble tenant, the first step to take is to make sure that you’re up to date with and understands the rights by law and by lease agreement to your tenant. As a precaution the lease agreement should specify rent due dates, rent amount, and then any other potential fees or prohibited activities. Most landlords will also usually have a zero-tolerance policy when it comes to certain activities that would bother other tenants or neighbors. Stay Calm– If you need to deal with a bad tenant, make sure you spend at least one evening planning and thinking about the situation. Doing something immediately can lead to less rational decisions being made which will escalate your issues with the tenant and further compound the situation. Be Fast– This is important especially if you have additional tenants in a property as they’ll likely be looking to see how you handle the bad tenant. Handling a situation in a prompt manner will not only prevent everything from escalating but it will also help ease the minds of your other tenants. Stay Firm– Also extremely important, after you’ve discussed the issues with your tenant and let them know they’re in violation of the lease, stand firm and refuse to back down. If they try to resist, let them know that you’re ready to seek legal action to expedite the eviction process. Getting a firm move out date in writing will also help move the process along while helping you as a landlord in case of legal action. Most tenants will actually usually leave willingly though as many of them don’t want to add any more problems. Contact Their Emergency Contacts– Your application for them should include emergency contacts and in the event of any issues, utilize them to help your case. It’s important to avoid telling them anything personal, but simply letting them know that you’re concerned about the tenant’s well being and about any troubling behavior, can help move the entire process along quickly. Avoid Getting Angry– While the process of handling a bad tenant can quickly escalate and be frustrating, avoiding confrontation will help you exponentially in the long run. It can be tough to keep emotions in check but firmly explaining the situation and standing your ground should be enough to get your point across without further straining the situation. Collect Rent in Person– If you can, collecting the rent in person will not only ensure payment is on time, but it will give you an opportunity to view the condition of the property along with whatever is going on around the house. It will help you be able to act faster in the event of a tenant issue before any problem becomes too large. Unfortunately for most landlords, it’s not a matter of if when it comes to dealing with a bad tenant, it’s a matter of when. Knowing the right steps to take though and handling the situation rationally and quickly will help make sure that the issue is resolved before too much stress can occur either with you or with other tenants. Following these easy steps along with numerous others will help keep your time as a landlord enjoyable and successful.